Trooper 12 features a 12-quart capacity and up to three-day ice retention, making it perfect for day tripping or a weekend away. FORT COLLINS, Colo., Jan. 30, 2019 /PRNewswire/ -- From a day at the ballpark to an afternoon on the lake, keeping beverages and snacks at the proper temperature can make or break the outing. When portability and performance must go hand in hand, OtterBox has the solution. 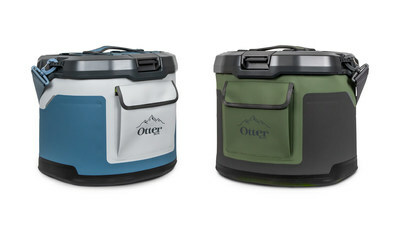 Introducing the Trooper 12 Cooler, the latest innovation in the OtterBox outdoor line.